Not everyone will understand your journey. That’s okay. It’s not their journey. It’s yours. Embrace your freedom. Your true purpose is not to be here to please others. Life is about embracing who you are and following where your passions and desires lead! If you live to serve others to avoid judgement and criticism – doing what makes them happy – you will become very unhappy. That unhappiness will lead to depression. It’s a sign that you are putting off what your soul yearns for you to do. You limit your full potential and disconnect yourself from your true self. Advice is great, but most people (even close loved ones) don’t understand your journey. So, the only person who truly knows what is best for you is… well… you! Anyway, in most cases, others opinion and criticism is not about you, it’s about them. It’s coming from their limited perspective, worries and fears. Instead of taking their judgement personal or getting into an argument, there are many positive action steps you can take to move forward. 1. Take a deep breath (or a few). The best thing to do is to not react right away. Take a deep breath, or a few, if you need. There’s actually a very good reason for this. When we feel attacked, we sometimes go into a fight or flight mode. Taking a deep breath allows oxygen to continue, it lowers our heart rate, and it allows for our response to be more calm and reasonable. If the the criticism is a borderline insult, don’t reply at all. Take a few deep breaths and just leave the conversation. You never want to react harshly and regret it later. In most cases, criticism has very little to do with you and more to do with the person and their perspective of the world. If someone offends you, it’s usually because they feel that way about themselves or their abilities. They are advising you based on how they feel. If you highly respect and trust this person, the next tip will help you. If you don’t, then definitely don’t take it personal at all! Let it go in one ear and just as quickly out the other. 3. Look for the truth. Remember, there is always a small degree of truth in everything. Statements that may feel like criticism can actually just be gentle, loving reminders. In fact, we may take a strong offense towards it because there is some truth in it and our Ego freaks out. Yep… that’s right! It seems crazy, but it’s true. Allowing yourself to be open-minded to what you hear doesn’t mean you have to believe it or act upon it. It just means if you find something you can learn from, by all means do it! Sometimes others can help us see things that we cannot to grow and improve. 4. When the going gets tough, get TOUGHER! Exactly! Even if you are a sensitive person, you’re going to have to toughen up and build a tolerance to criticism. It’s easy to be a critic, so most people are. It takes strength and courage to be who you truly are and live your own life. You’ve got to get tough, because the truth is, you’ll meet critics your whole life. However, the good news is… the less attention you give to criticism, the less you’ll experience it. The best “Get Tougher Tool” is self-esteem and a deep inner confidence. So, if you feel defeated when judgement and criticism arise focus and develop your own inner love and confidence. When you know who you are and why you are here, you’re unstoppable. 5. Always be true to yourself! This is the most important tip of them all – be true to yourself! 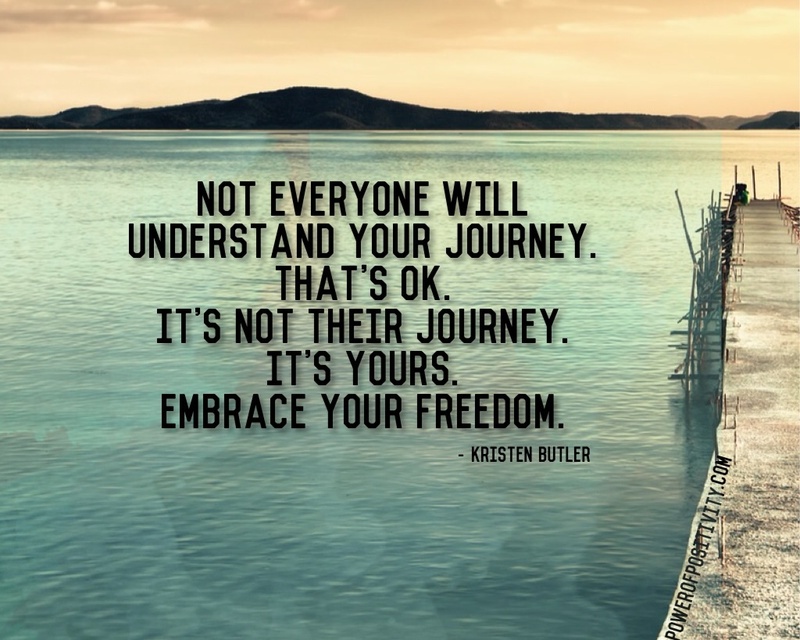 Other people don’t have to understand your journey or even accept it. When you are true to yourself and who you are life is magical. Doors of opportunity open at every corner. Solutions are endless and life is fun and exciting.